Home » Blogger Tricks » How to add star ratings to blogger blog posts (visible on search engine)? How to add star ratings to blogger blog posts (visible on search engine)? You might seen many of the websites are showing ratings on their search results. Well here we are going to add that same markup to our blogger blog posts and display star ratings pretty easily. 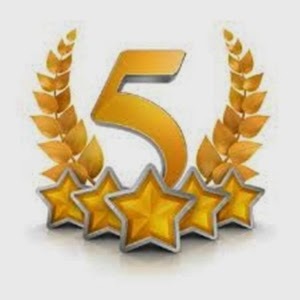 So you can see from the above image how the star ratings actually look like you can add 3 start or 5 start that depends on you. You should assign an approximate ratings in order to feel users as it is genuine. 1. Create a post as you do normally. 2. Switch to "HTML" section and scroll to bottom of post. 3. Copy and paste below code at the end of your post's html code and "Publish" the content. Do not forget to make necessary changes as noted below. Change "How to hide last name on Facebook" with the title of your post. Change "Vinay Vernekar" with the name of author or admin. Not necessary to change because you always like to get high ratings for your posts. But still if you want to change, simply change "5" with any number between 1 to 5. 4. Done, now it's time to check whether it's working or not. Just visit Google Rich Snippet page and simply enter your post URL and press Preview button. That's it now you will see the the star rating for that post like in the image on the right. Well now this is just a demo and actually results might take sometime to appear in the Google search results.